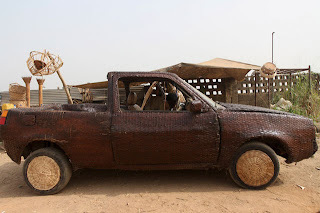 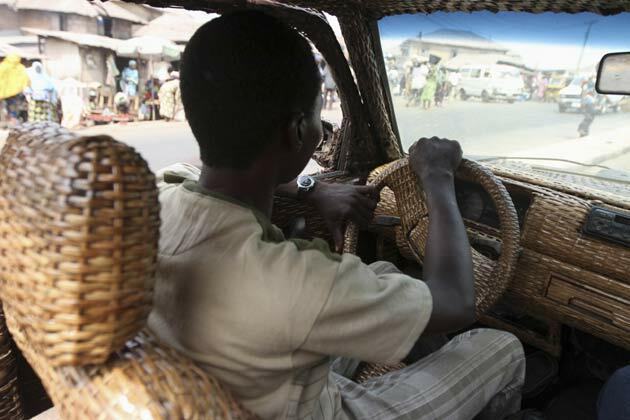 The cane-made car above is a display of creativity and ingenuity at its peak, as the Peugeot pick-up was woven with cane from the roof, to the bonnet, bumpers, and down to the rims of the tyres! 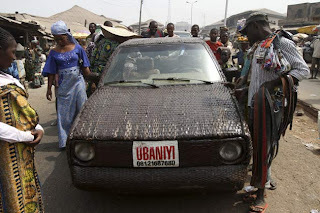 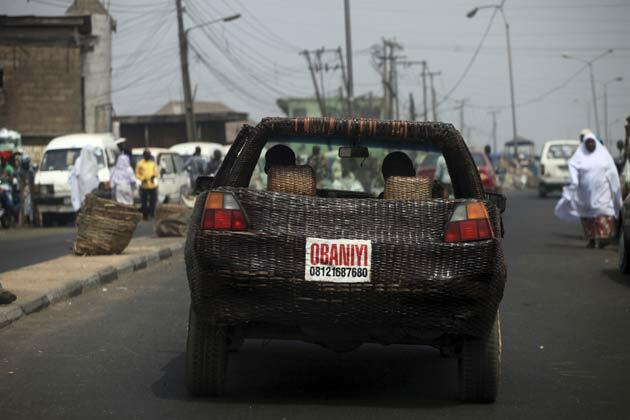 A middle aged man, tall who introduced himself as Mr Obaniyi Adeoye Ojo who is responsibille for the re-designing of the Peugeot pick-up said he just wanted to do something unique and promote Nigerian culture the more. Very unique I must say!